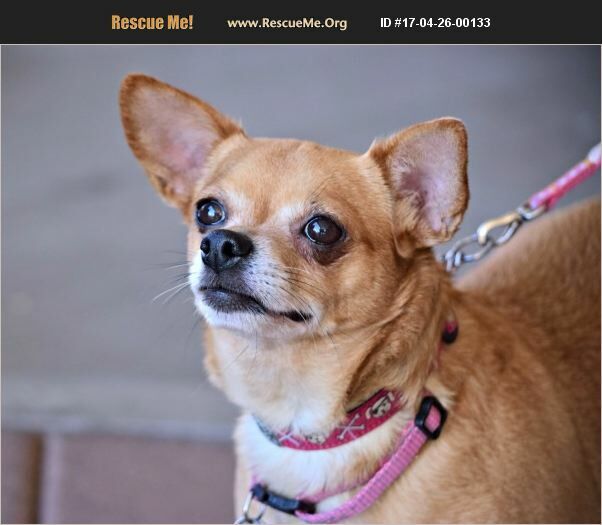 China is a 7 yr old Chi., very quiet and laid back. She is good with other dogs , kids and adults.She is up to date on vaccines, spayed, microchipped, and house trained. She would make a great senior person couch companion. Would enjoy a short daily walk or similar activity. Not very vocal, just a little cuddle bug. Is a little over weight, could benefit from someone e willing to help her drop a few lbs.